I am so geeked about this weeks challenge! Now that the initial decluttering has been done, we get to really get to the fun part… making our home pretty and functional! 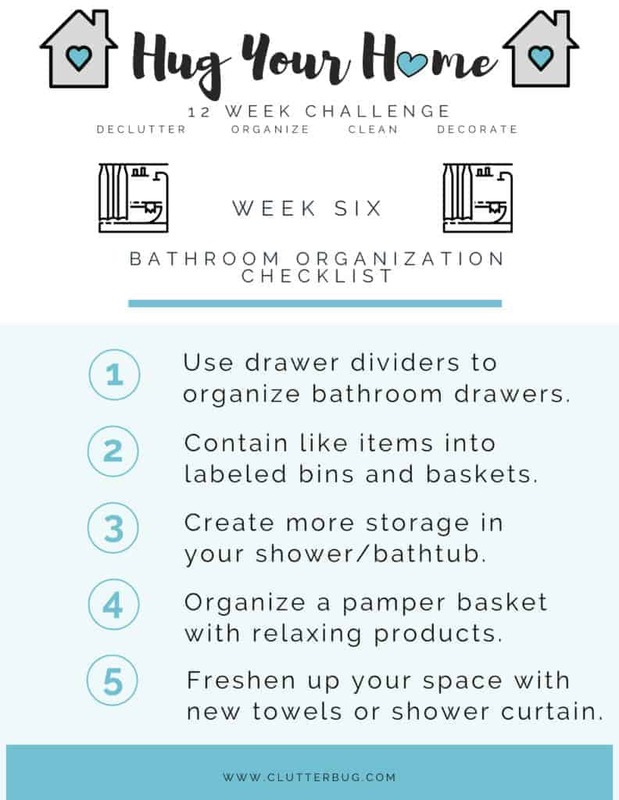 This week’s challenge is to organize our bathroom and give it a little update at the same time. 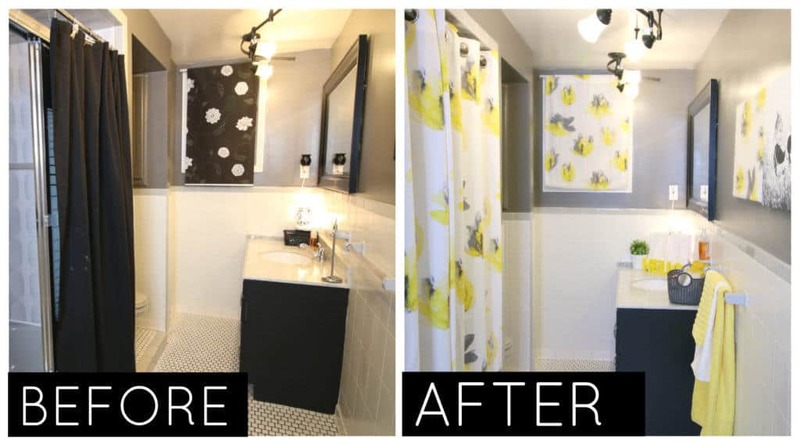 I want you to contain your products in pretty baskets, get dividers to make your bathroom drawers more functional and create some new storage in your shower area. The biggest impact we are making this week is just adding a little a little love by making a pamper basket and adding some new towels or a new shower curtain. 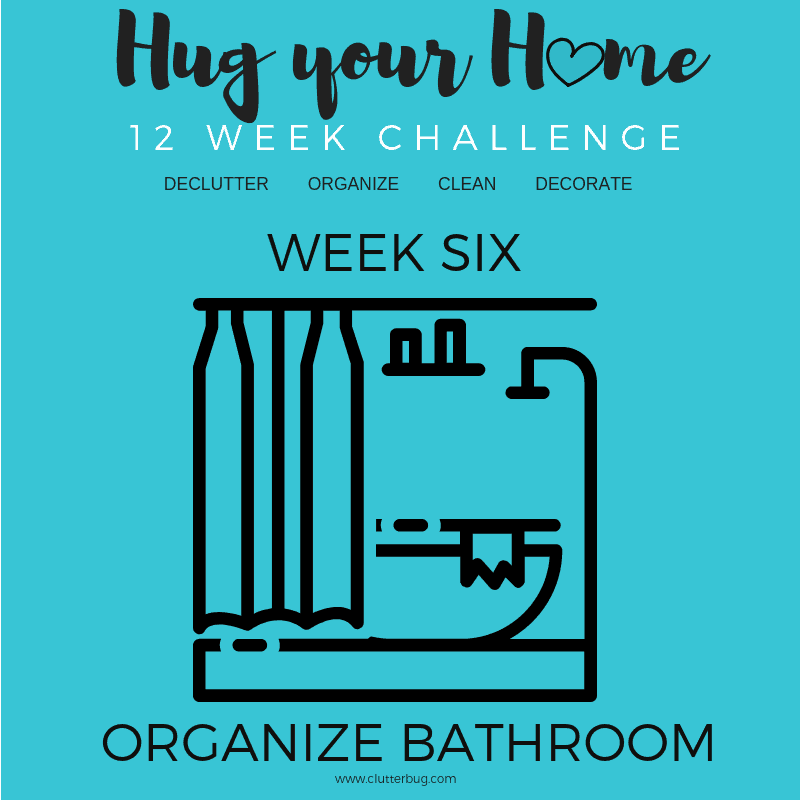 You can download this FREE CHECKLIST and follow along with this week’s Hug Your Home challenge!